Put more people to work. 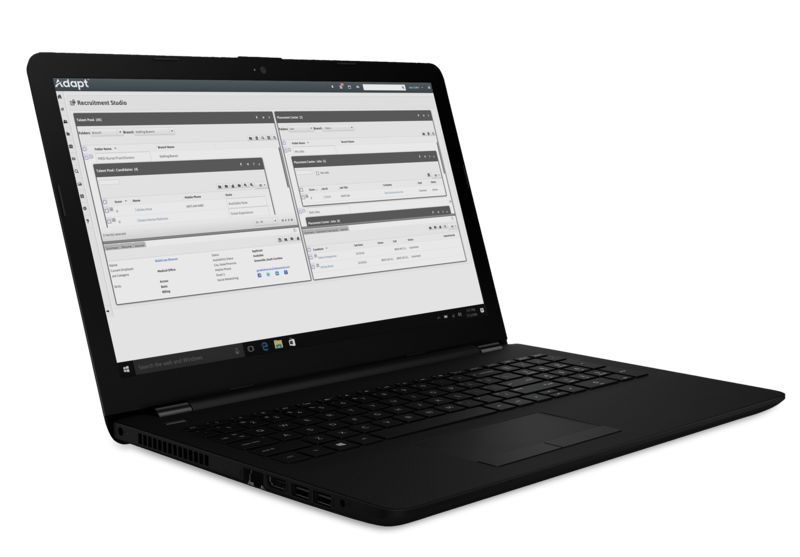 Maximize productivity with our unified front and back office staffing software that brings together sales CRM, ATS, payroll and billing, onboarding and business intelligence in a web-based environment scalable to your business growth. Tapping into 40+ years of recruitment software experience, we have unrivalled knowledge of how to leverage and build technology that enables staffing agencies of all sizes to become more successful. 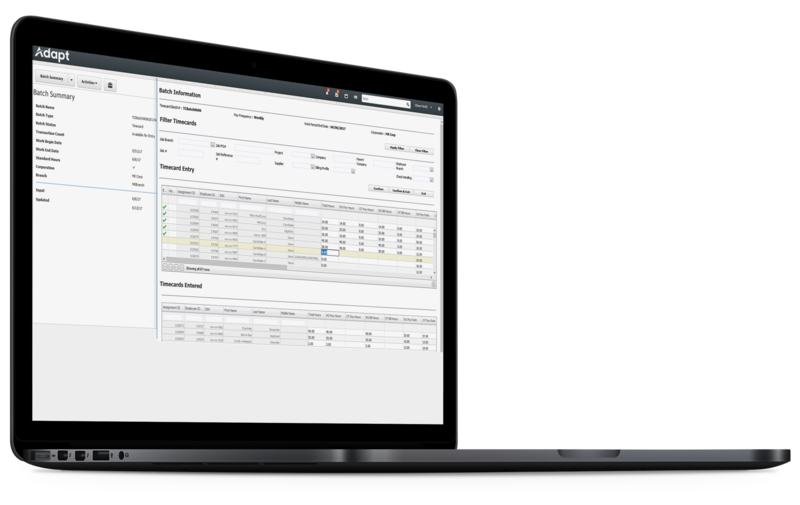 Faster fill rates through simplified and streamlined workflows. Adapt Recruitment Studio was designed with feedback from thousands of staffing professionals to offer a world-class ATS, and we’re constantly innovating to leverage every new technology that will help you fulfil your clients’ needs faster. With your go-to tasks on just one easy-to-use screen, smart workflows save time allowing your recruiters to focus on revenue-generating activities. Generate more revenue and business growth. 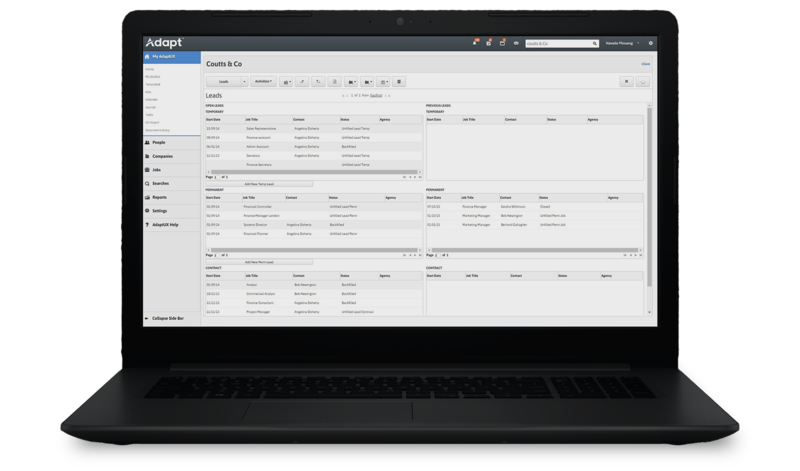 Adapt Sales Studio aids sales conversion and account penetration with call activities and contact management completed and visible on one screen. Mobile optimization allows your sales teams to access the CRM from any location at any time, ensuring all account activity gets recorded. Less data entry for greater efficiency. Adapt’s Payroll & Billing functionality is fast and accurate reducing your cost of service delivery. 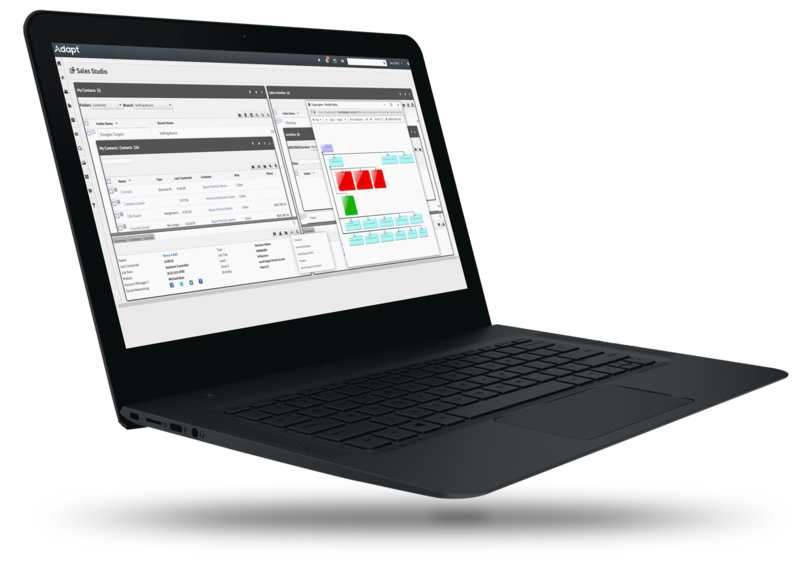 Intuitively easy, yet enterprise capable, to ensure your back office performs as effectively as your front office operations with the two integrated seamlessly. Meaningful management intelligence for making better informed decisions. 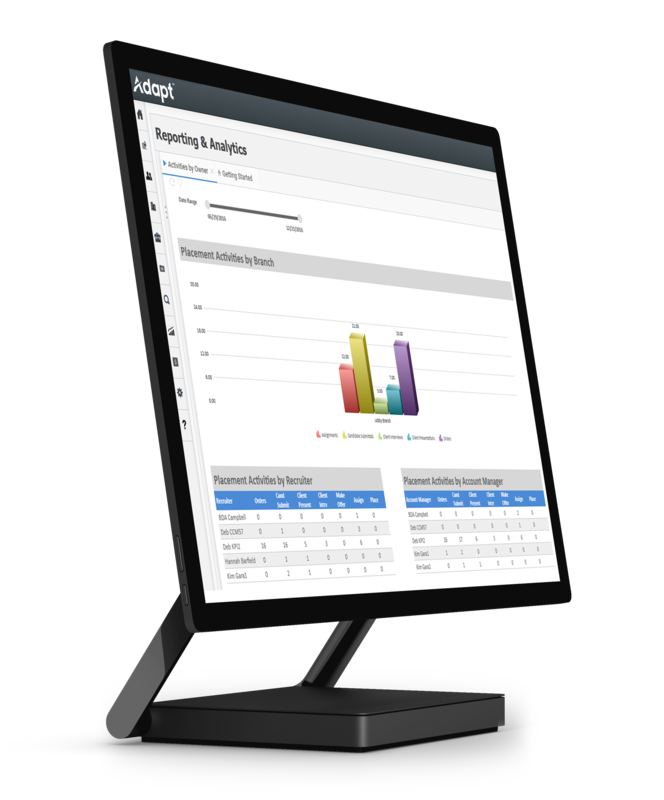 Adapt Management provides powerful reporting tools and robust business intelligence dashboards. Track and plan your business objectives better with reporting and analytics covering strategic business KPIs and metrics to enhance tactical staff performance measurement. With better insights you can drive revenue, profits and growth.